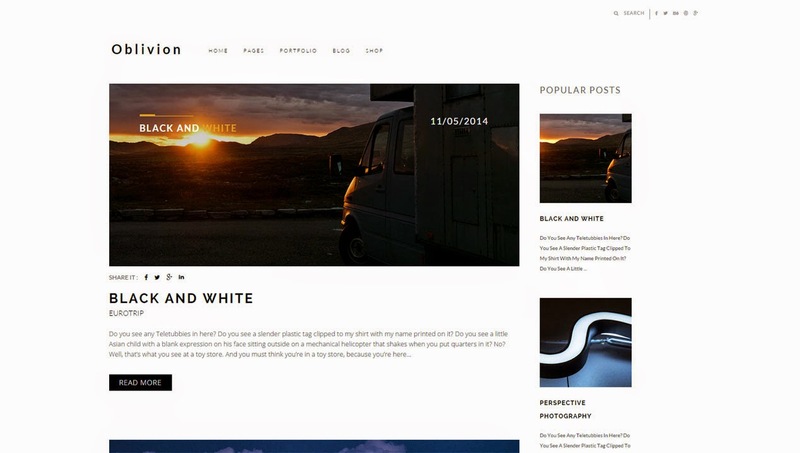 Oblivion is a simple minimal designed blogger template for professional bloggers. It's packed with very awesome features and useful technologies which will definitely improve your blog's content look and it's performance among the audiences. A easy documentation is also included to help you in easy installation of this template.